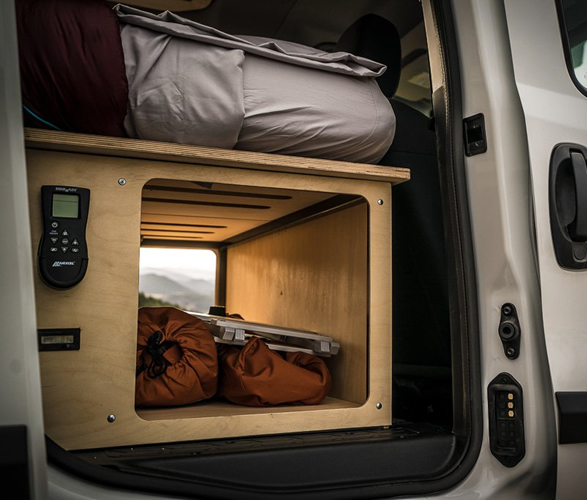 The Contra Van Kit aims to assist its buyers in quickly getting their small van ready for camping. 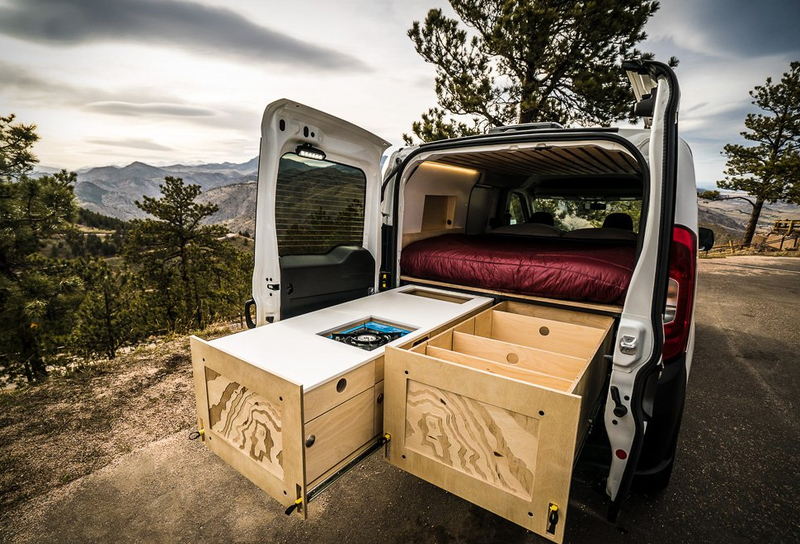 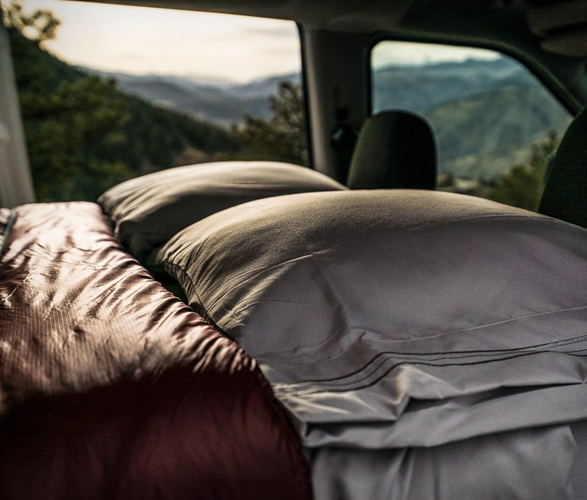 Rather than having to break the bank to customize your van and waiting for months to get it ready, this kit has all you’ll need to get you going exploring the spots of your choice. 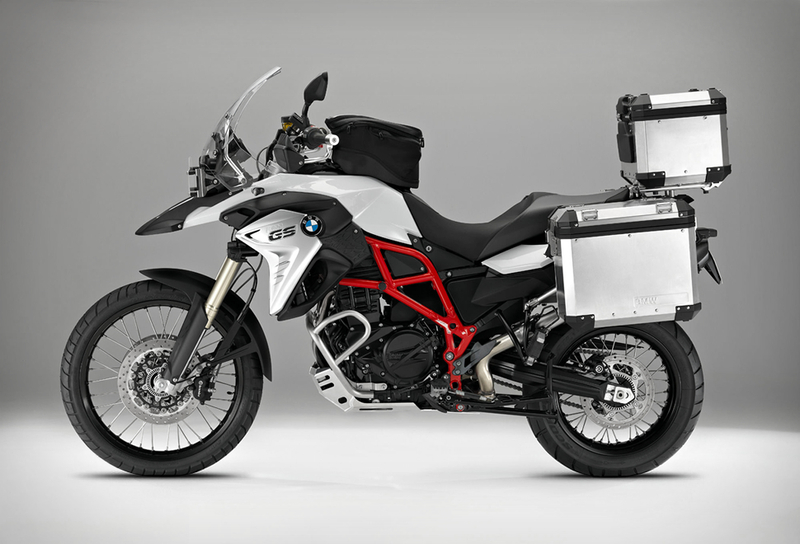 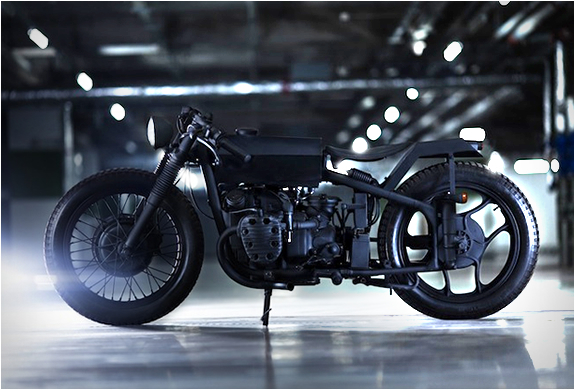 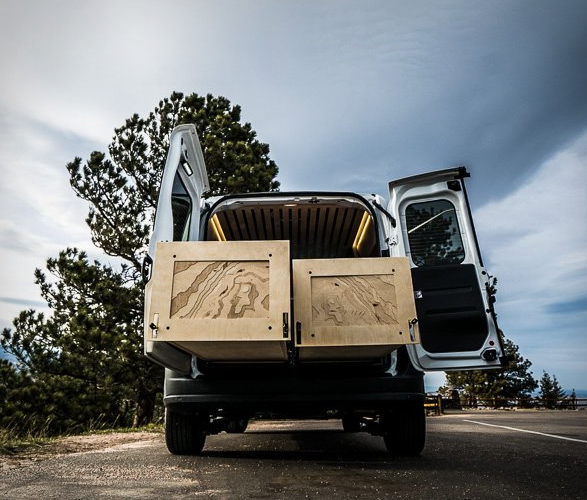 The kit is made from CNC machined wood and is comprised of a bed structure with a slated ceiling, two large drawers with up to 600lbs of capacity that will slide out through the rear doors, and that you may fill with kitchen utensils, food, clothes, a burner stove, a large jug of fresh water and other gear that you may need along your trip. 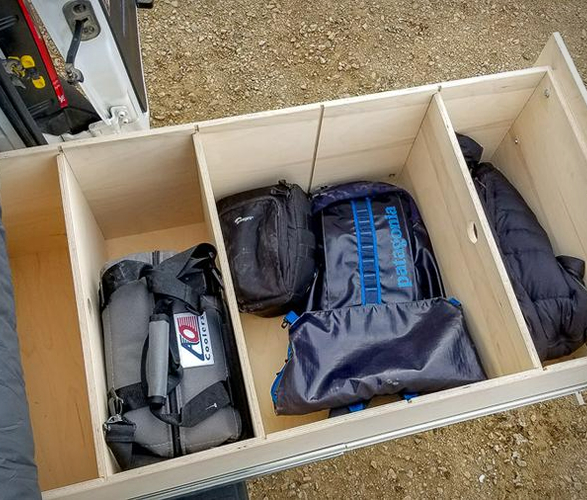 They also fit in LED dimming lights, a slatted ceiling, power outlets, a ceiling fan, and wall panels with cubbies. 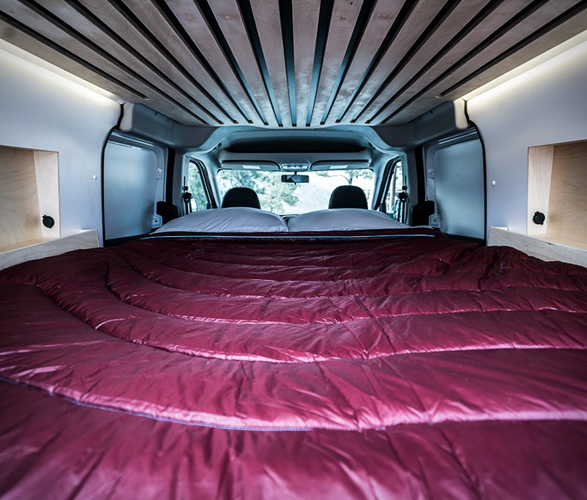 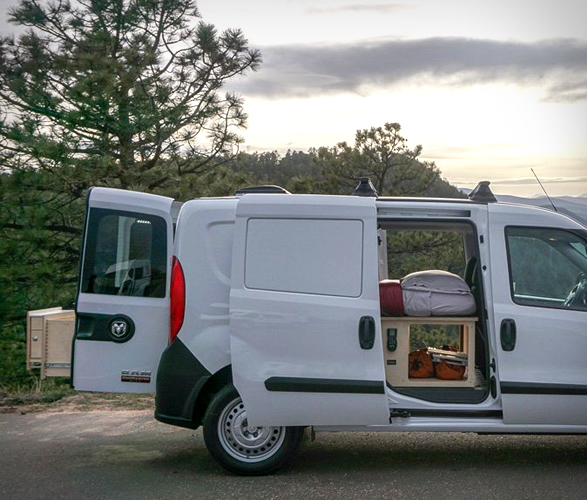 The road-trip ready campervan installation will be ready in 2 weeks so it’s pretty fast and should you buy it, they’ll throw in kitchen gear, a couple of chairs, a table, plus a sheet and pillow set. 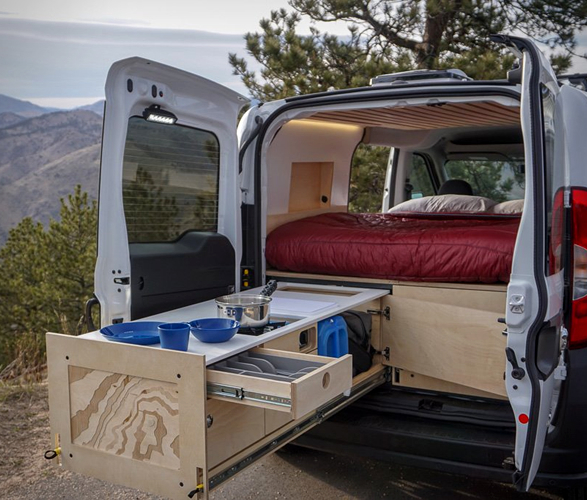 Van life has never been this easy.